10 Stealth Tactics to Spy On Your Competitors! Gone are the days when businesses were able to mark their success due to low competition. However, it is not the case anymore as there is a strong competition among the businesses and it is tough for businesses to stay ahead in the game. As you analyze the corporate sector, you will find that the digital marketing has shaped the corporate world. 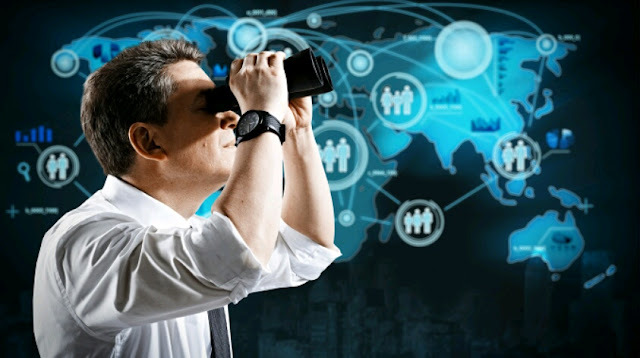 Today, a business can easily spy on each other thanks to advancement in the web and social media. Social media platform is one of the most authentic places where you can learn about business activities of your competitors. Checking into the Twitter and Facebook profiles of your competitors allows you to have an insight into the marketing strategy, product design and pitching trends of your competition. It also gets you familiarized with your target audience and how they respond to different products and services. Never overlook the role of service vendors and product suppliers who interact with businesses to market their service. They are the people who can reveal some insider’s secrets of success of your competitor. Just talk business and have a conversation with them about how they can help you in return for some bucks. This is another way you can spy on your competitors in order to beat them in the business. Hire someone for this job and tell them to pretend to be a client of your competitor. You can have a conversation with them over a phone or have a one-on-one meeting in their shop. Pretending in such a way reveals to you the many secrets of their business, particularly about the customer relationship and selling techniques. Since it is the era of technology, you can use it to find the business tactics of your competitor. There are a number of tools you can use to spy on your competitors without breaking a sweat. So in order to find the competitors’ strategies for their successful online presence, you can use different online platforms. These resources turn out to be more effective when you want to have an accurate analysis of your competitors’ online strategies. When it comes to manufacturing competitors then find out if they offer plant tours. These specific kinds of tours, normally give a proper insight of different products, new hiring, and various expansion plans. Thoroughly examine their websites and find out how much they are customer-friendly. It will tell you a lot as how they deal with their customers and satisfy them with providing better services. In this current era, businesses mostly leverage LinkedIn to post their updates regarding their services and new products. So follow their LinkedIn pages on the regular basis, which will reveal a lot of useful insight for you. This will help you to come up with something different from them which will make you stand apart from them in the market. It is the most effective tip when it comes to finding that what sort of people they hire. The more you go through their job ads, the more it will help you to find what skills they are looking for. So make sure you go through different job searching websites on the regular basis to get the hiring insight of competitors. Finding out their web traffic is what which will give you the clear insight of their success. So make efforts to explore their web traffic with the help of some experts, if you are not enough tech-savvy. You may also get the help of SEOs in this regard. They will not only guide you about competitors’ web traffic but will also reveal some great hidden technical insights of competitors. All these tips have proven to be worth noticing for the startup businesses. So if you really wish to stay ahead of your competitors, make sure you use them. Remember that competition is very high and you do not have any option but to spy on competitors to stay ahead. It is the first thing you will kick off with while spying on your competitors. Just get the local newspapers and read out the advertisement page which will guide you what your competitors are up to. This will define your right path for spying on your competitors.